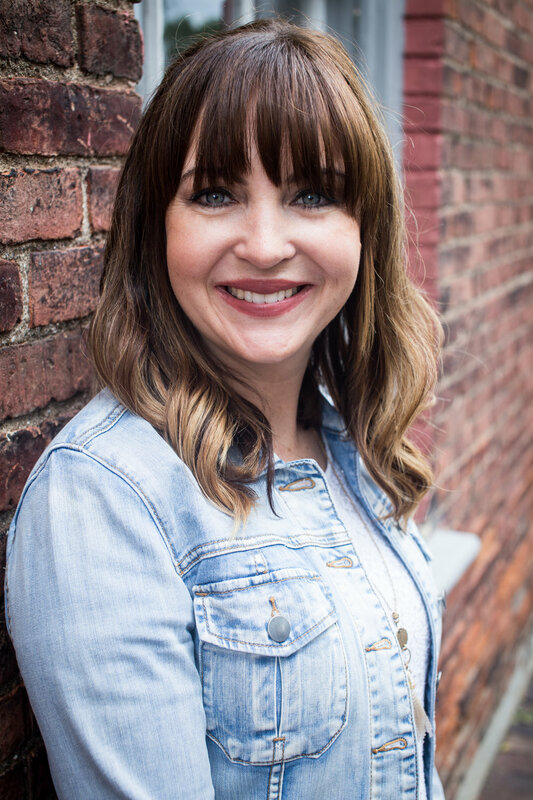 Here at The Better Mom our passion is to encourage and affirm women in their role as a mother by sharing testimonies, providing resources, and extending hope to all those in need. And if we are being completely honest all moms are in need of these things on a regular basis. We are all on our own unique journey, yet we all can relate to the truth that parenting is a challenge as well as a great reward! I believe in the the purpose of The Better Mom because it truly does help us all become better moms! Now there are many different categories on this site and for good reason...because being a mom encompasses all areas of our daily life. This community of women has some great writers who are dedicated to sharing the testimonies that have been a huge contribution to their role as a mother. For me personally, I strongly believe that marriage is one of those aspects of life that influences our role as a mom. So my goal in this community is to encourage us moms to take a deeper look at how the marriage relationship can influence and affect our parenting. Today I wanted to specifically encourage us to have the same passion we have to become better moms and commit to having a better marriage as well! But be sure to check out the other categories on this site and search through the ones you feel would really aid you in your current circumstances and embrace the insight that is shared! Committing to a better marriage is easier said than done. For one, we must acknowledge how we can commit to this, and for some of us this may be a painful process. Perhaps having a better marriage means that you need to lay aside some selfish desires or retraining some bad behaviors you have. Looking inward can be difficult, but as we allow ourselves to honestly evaluate our lives, we give ourselves room to grow and embrace change. The first thing I encourage you to do is evaluate your life and especially how you operate as a wife, then write down what things you feel you should commit to improve. Also, write down how improving these things will positively impact your marriage. Perhaps it is trying harder to be more organized, maybe it is having self-control in your responses toward your husband, maybe it is trusting your husband with finances, or it could even be a heart issue like jealousy that you know you need to work on. Now take this list and share it with your husband, inviting him to do the same. Take a moment to pray together and submit your commitment before the Lord! My husband and I love goal setting. We find that making goals and committing ourselves to them help us be on the same page and work together as a team to keep each other accountable. By communicating these things we also know exactly how to affirm and cheer each other on. Committing to a better marriage benefits parenting because as you and your husband work towards a common goal and encourage each other throughout the process, your children will see your bond grow deeper, reinforcing for them security. It will also benefit your children as you and your husband become stronger as a team and operate as one in your parenting, supporting each other’s actions and being consistent in your training. 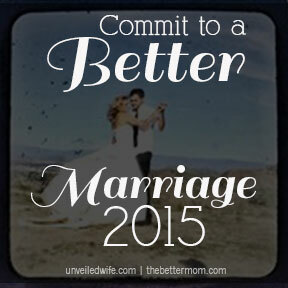 As the new year 2015 approaches you can use this as an opportunity to commit to a better marriage as a resolution! Prepare yourself for the changes necessary to improve your relationship in marriage and invite God to transform you! Mar 10 A Live Webcast Event You Don't Want To Miss!